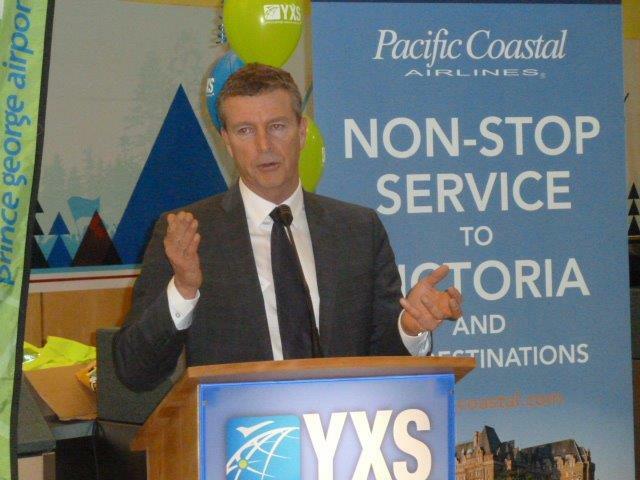 Pacific Coastal service to Prince George (YXS) Launch. 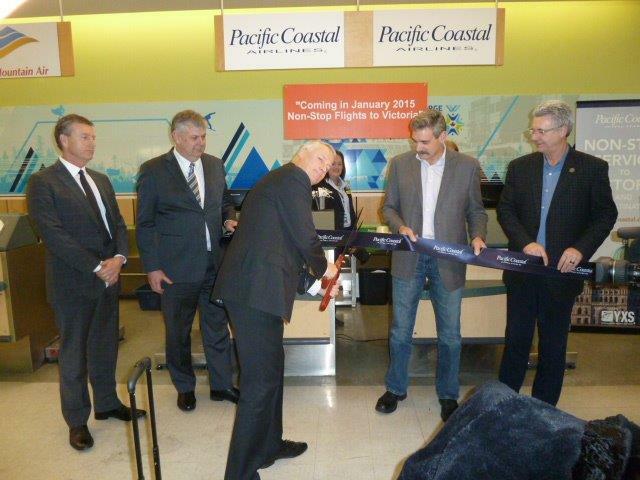 January - Pacific Coastal service to Prince George (YXS) Launch. February - Airport Service Quality (ASQ) Award Staff Appreciation event. May - Air Terminal Building Photos. May - Air Terminal Building. West wall wordle in the Security Checkpoint. 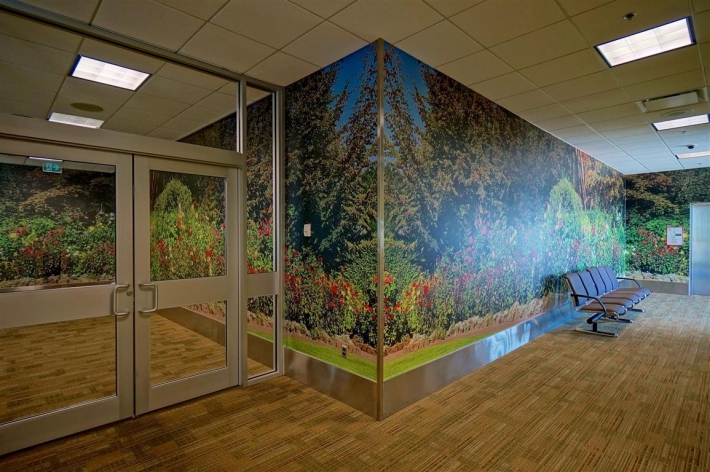 May - Upper Passenger Departure Wall Art Wall. May - First appearance for Red 5 in the Victoria Day Parade. 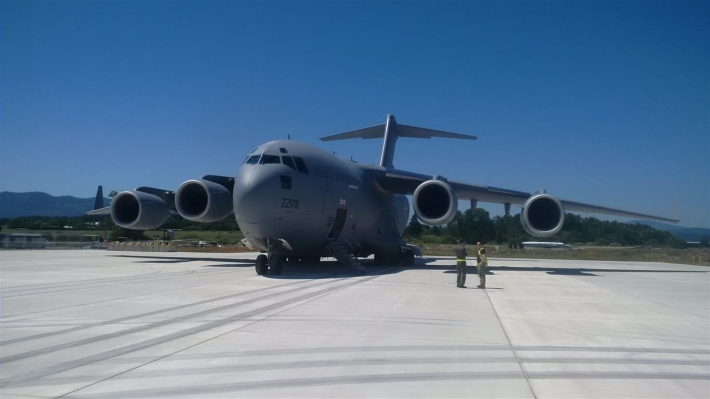 June - Royal Air Force C-17 Globemaster. June - Hydration Station with pet bowl at Hospital Hill. July - Air Canada's tribute to Trans Canada Airlines (TCA) with painted A319 aircraft. July - Hanging basket at YYJ. August - Legendary Commemorative Air Force Plan "Flying Fortress" B-17 WWII bomber visits YYJ. The aircraft is based in Mesa, Arizona and is a flying memorial to the crews who flew bombing missions over Europe. August - Legendary Commemorative Air Force Plan "Flying Fortress" B-17 WWII bomber visits YYJ. August - Royal Canadian Air Force Snowbirds lined up at YYJ. August - WestJet Encore Q400 taxis past Apron III on taxiway Sierra to Runway 27. August - Air Terminal Building. 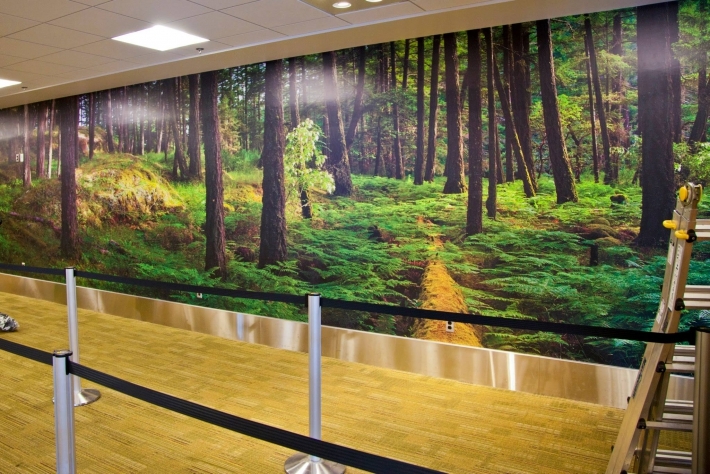 New photo mural on East wall in the Security Checkpoint. The photo was taken in Francis King Regional Park, Saanich. September - Apron IV Expansion (Phase 1) underway. September - Apron Expansion Progress. September - Temporary self-drop baggage location while improvements to hold baggage system project is underway. Gates 1 and 2 Upper Passenger Departure Lounge west. September - Upper Holdroom Art Wall. October - Butchart Gardens Photo Wall. Photography by Alessandro Roethel. October - Delta Air Lines site visit. Three times daily service to Seattle (SEA) begins April 4, 2016.